Norwegian director Anders Emblem’s feature debut Hurry Slowly (Skynd deg sakte), has been selected for competition at Norway’s Tromsø International Film Festival and the American Slamdance Film Festival in Park City, Utah after starting its festival life in Asia. Nicknamed Paris of the North, Tromsø - the largest city in Northern Norway, 350 kilometres north of the Arctic Circle – will unspool the 29th edition of its festival between January 14-20, including a programme of outdoor screenings in the dark Polar nights. Last year it reached more than 61,000 admissions. “The premiere festival by filmmakers, for filmmakers, dedicated to fostering a community for independent emerging artists,” Slamdance will present its 25th anniversary competition of 18 features ”with budgets of less than $1 million USD, and without US distribution” between January 25-31. Also scripted and edited by the 33-year-old director from Ålesund, Hurry Slowly is described as “an episodic slice-of-life film about responsibility, safety and freedom,” following 24-year old Fiona (Amalie Iben Jensen) and her 18-year-old brother Tom (David Jakobsen), an autist whom she takes care of. 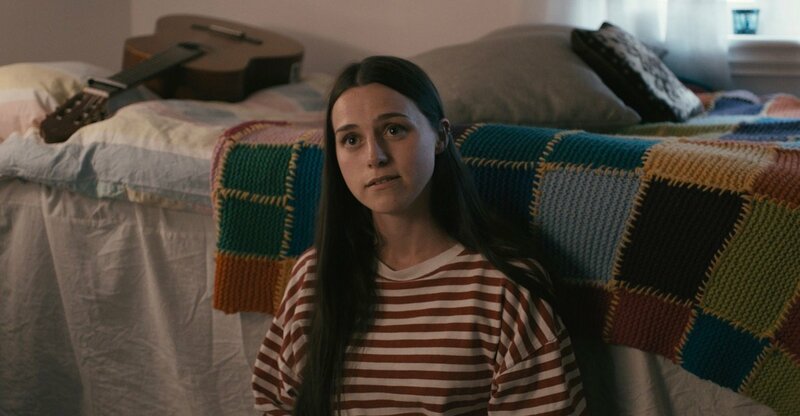 During some life-changing summer months at Sunnmøre, Fiona – while balancing her responsibility for her brother, jer job at the local ferry and her interest in music - finds Fiona her reflections about her own future are becoming increasingly prominent, while the dynamics towards Tom change faster than she may think is comfortable. After communication studies in Perth, Australia, he studiet Film Sciencel in Lillehammer, then completed a master in media studies at the Oslo University, Emblem has now returned to the north-western coast of Norway, where he grew up, and where he shot his feature on a €5,200 (NOK 50,000) budget. Both his lead actors – singing and guitar-playing Amalie Iben Jensen, who is in every picture of the film, and David Jakobsen – are from the region. “It's an extra dimension to use local actors, even though I'm not manically concerned about it,” explained Emblem, addding his main source of inspiration is music. “I make playlists and fictional montages that fit both in mood and theme. As music often defines people, I am also concerned with what music the characters are listening to, and incredibly enough they have similar music flavors as mine. Filmwise, I am attracted by movies and filmmakers who take time composing pictures and allowing viewers to participate in what story is told. How good filmmakers put together pictures and scenes are eye-catching, and very motivating. “The highest goals I had before the production was that it would enter a Norwegian festival and Slamdance – considering that it is a zero budget movie, and that Slamdance is - for me, a foster of American indies - one of the most important festivals for such productions. I hope it will help in the application process for upcoming projects, producers want to make movies with us, and that professionals and actors will work on those movies,” Emblem concluded.